Welcome to the Banks' family blog! We are a family of 4 1/2- Sam, Shannon, David, Trevor, and our new baby to be joining us in March. 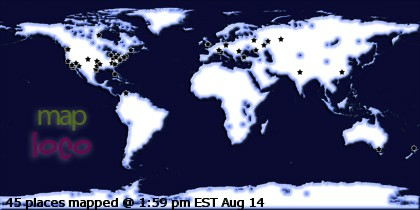 We live in Arlington, VA and plan to be here for a while. Sam is a Law student at George Mason University, Shannon is a housewife, David is our sweet 5 year old, Trevor is our silly 3 year old, and baby boy is our ever growing fetus. Thanks for visiting our growing family! Along with updating this blog, I am also updating my other, less interesting blog. All about weight loss and running and food. Follow along if you're interested! David and Trevor have adjusted really well to this new change in our family. They love Charlie so much that we've had to set limitations and ground rules so they don't smother, suffocate, or crush him. When we brought Charlie home, the boys suggested we have a birthday party for him. I thought that was such a sweet idea. We had hot dogs for dinner (the boys' choice for the ultimate party food) and the boys helped bake and decorate cupcakes. We sang happy birthday, and the boys gave him a present - a lovie just like theirs. They were so happy the whole time, it just made my heart soar. I love these little guys so much I feel like I can't contain it sometimes. I really love being a mom. I figured since Charlie is almost 2 months old, I should document his birth story before I forget it (shame on me). He was born on March 30th, and his arrival was perfection. Honestly, it was my favorite labor and delivery to date. Friday night we had Heather and Allen over for a "let's live it up while we still can before the baby gets here" party. We stayed up till 1:30 am playing on the wii. I had a couple big contractions, but nothing regular or anything to indicate labor was approaching. Then at about 3 I woke up with some more intense contractions. I willed myself back to sleep. By 4:30, the contractions had woken me up to a point that I couldn't go back to sleep, and they were 10 minutes apart. I got out of bed and took a shower, packed my bag, packed the boys' bags, did my hair and makeup (super important), and wandered aimlessly around the house. By 6:30, the contractions were 5-6 minutes apart, so I woke up Sam and we called Allen to come back over and watch the boys so we could go to the hospital. At this point, Sam and I realized we hadn't installed the infant car seat, so we pulled it out of storage and put it in the tub to wash it. Yeah, we were super prepared. Anyway, by the time we left the house at 8 am, my contractions were about 3-4 minutes apart and painful. We parked the car and started walking, suddenly aware we had no idea where to go (remember how I said we were prepared?). We got lost a couple times, but a very nice janitor finally sent us in the right direction (seriously, what kind of hospital doesn't have signage to lead you to the l&d unit?). We got all checked in and admitted by 8:30. I was at 5cm. The waiting game began. By 11 I was in a lot of pain and the 2 hours of sleep night was starting to catch up to me. I told Sam I didn't know how much longer I'd last. I had iv's so I couldn't walk around, and the hospital had somehow misplaced the birthing balls. It was frustrating to say the least. I was so tired that my body was reacting poorly to the pain. I was shaking pretty badly and the longer it went on, the worse it got. I started having mini full body convulsions. I was miserable, but in hindsight it really wasn't that bad. I recognize I was just tired. My nurse said it was shock. 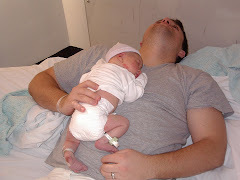 My system was tired and shutting down from the stress and pain of labor. Weird, I didn't know that could happen. I'd heard of epidural shakes, but not labor shakes. Anyway, by noon I was miserable, tired, and in pain. Then my dr came in and told me that based on the ultrasound, he thought the baby would be around 9 + pounds. That was what did it for me. I got scared. I didn't think I would be able to push out a 9+ pound baby with as tired as my body and I both were. So I caved and got the epidural at 12:30 and at 8 cm. I still regret that decision, but boy did it feel good. At 2 I started pushing. Charlie was born at 2:08. He was beautiful from the second I looked at him. All 8 lbs 11 oz of him. I kissed him all over before they took him away to weigh him. He was hungry and ate - from both sides!- when he was about 30 minutes old. I shoulda known then that he'd be a chunk. He slept so well that first night, and for the most part, he has ever since. He is perfect. We love him so much it hurts. He's our good good good boy. We're so glad he's part of our family. Right now at this very moment in time, both of my children and my husband are all at school. So I'm sitting here in my house. Alone. A lone woman. I don't even know what to do with myself. So far I have laid on the couch, peed with no interruptions, wandered aimlessly from room to room, eaten an oreo, looked at facebook, played solitaire, eaten another oreo, and finally, sat down at the computer to blog. Imagine it. Me! Blogging! What has this world come to? I'd like to say that I'm going to use the alone time I now have every Tuesday and Thursday to update my blog and stay in touch with everyone a little better, but I know myself and that's not a promise I'm willing to make. But for right now, it is what I am choosing to do with my free time, and I'd like to think that I might start blogging once a week (until I have this baby, anyway). Here is blog post number one, and I hope it finds you all well! I shouldn't say I'm alone, necessarily, as I do have a little bitty snuggler keeping me company right under my right rib (seriously kid, get OUTTA THERE!). We call him Charlie, although that's not necessarily going to be his name. It's just his fetal name. A way to refer to him in some other way than "it", "him", "the baby", etc. I realize I haven't posted about Charlie at all. Which makes me a little sad because I posted about his brothers so much better. Allow me to rectify the situation (I don't know why, but the word rectify just made me giggle....). Charlie is an awesome kid. He is less part me and part Sam than he is half David and half Trevor. Physically, he looks like Trevor from the bridge of his nose up, and David from the tip of his nose down. At least his profile would suggest this. Personally he is very territorial like David was as a fetus, and very regimented like Trevor was. He also has his own little quirks. I've noticed that how my children behaved in embryo has very much been indicative of their little personalities as little boys. So here are the things I have noticed about Charlie. I'd like to have it documented somewhere so when he is older I can look back and laugh at how much he is still the same little baby that grew within my belly. *As I stated before, he is extremely territorial. If something is touching my stomach, he WILL fight it. If my waistband is too tight (a common occurrence, unfortunately), he will kick at it with his ferocious ninja feet. It makes me laugh because it's never a hard "get outta my way" kick, it's hundreds of tiny little rapid almost playful kicks. He does the same thing with seatbelts over my lap, things resting on my stomach, belts that I might wear, or pretty much anything else that might be trying to invade his little home. He also gets really mad if I try to, even gently, move him from where he's resting in my tummy. If I nudge or push him in any way, he will kick and flail so hard until I give up. Which leads me to believe he might also be very stubborn. *He loves to sit in this spot right under my right rib cage, but he does it in a way that makes me think he's going to break my ribs. It is so uncomfortable, borderline painful, that I'm constantly trying to shove him out of there. Which only results in much kicking and flailing. It may or may not be worth it. *I also mentioned before that he is regimented like T was. Not as much, but slightly. Trevor was like an alarm clock. He would wake up every night at 10pm on the dot. It was so accurate you literally could have used him as a timer. Every night. 10 pm. Charlie's not as precise, but he does usually wake up around 10:20 every night, give or take a few minutes. When he wakes up, he does so with a flourish. It is very dramatic and quick, like he's being startled awake. It always makes me laugh. He thrashes around for a few minutes, and then just wriggles around merrily. Silly silly. *He is by far the most active and forceful child I've carried. The doctor told me my uterus is measuring 4 weeks big, but Charlie's measuring right on schedule, so it has given him a much roomier surrounding than most babies have. He's just chillin' in his little tummy mansion. Basically (the way the Dr has described it), this has given him ample room to build up momentum. So instead of sweet little baby fluttery kicks and punches, he has some room to get some momentum going and is able to land blows with considerably larger impact. It's pretty funny actually. Sometimes it makes me yelp it's so startling. *Funniest fetal moment (in keeping with the above "Charlie fact"): The other day in the shower, he kicked me so hard he knocked the wind out of me. Not even kidding. He was nestled in his favorite spot right under my right rib, and was kicking backwards a bit, so his kicks were landing toward the back of my ribs rather than the front. I gave him a little nudge, and being the territorial child he is, he gave me a swift hard kick right towards the back of my ribs. I gave out a loud "oooof", loud enough that Sam came in to see what was wrong. He found me on my hands and knees, coughing and sputtering in the bottom of the tub. It wasn't a big one, obviously, but he knocked my breath out good enough that I couldn't breathe for a good 3-5 seconds. I have never had that happen before. This baby is ca-razy! I laughed about it for weeks. I actually still laugh about it. I'm laughing right now just remembering. I can already tell this kid is going to be a character. Spunky and funny, just like his brothers! *David loves this baby so much more than I ever thought possible. He talks to him every day. Reads him books, sings him songs, tells him about his day at school. He always starts with "Hey, Charlie! It's me! Your brother, David!" He gives my belly kisses constantly. He tells me to lay down sometimes to rest, and will cover me with blankets and bring me and Charlie stuffed animals to sleep with. He shares all of his food with me and tells me it's for Charlie. He brings me food all day and tells me it's been too longs since I've eaten and Charlie's probably hungry. He loves to put his hands on my belly and feel Charlie move. He belly laughs every time he feels him, and opens his eyes really wide. I love to see the awe on his little face. I can't wait for him to officially meet his little brother. I know he is going to take such good care of him. *Trevor loves the idea of Charlie, but I'm not sure he fully understands that this baby is really going to come out of my belly and be a full fledged member of our family. He had a bit of a hard time at first. He got mad when my belly started getting too big to snuggle with me the way he wanted, and he would push my belly and say "MOVE, Charlie! It's my turn to lay with Mommy!" 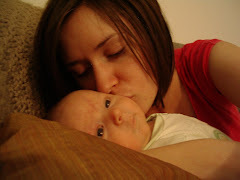 He acted out for a while and resorted to a lot of baby talk / behavior that he hadn't been doing for a while. Fortunately that's all done now, and he is really excited about Charlie coming. He likes to play cars with Charlie and he brings him all his favorite cars to play with. After a while he'll say "Mommy, Charlie's not really doing anything, so I'm just gonna let him be a mountain." Then he'll drive cars all over my belly for a while. He will give my belly hugs and kisses randomly throughout the day and tell me "Mommy, that's not for you, that's for Charlie." He asks me a lot if Charlie's sad or crying. I assure him he's happy and warm in mommy's belly, and he seems to be appeased, although not fully. I love the concern he has for his brother. It will be fun to see Trevor in the role of big brother for a change. I think Charlie is the luckiest baby in the world to have two brothers who care about him so much! On that note, I will end my very long post and go enjoy the rest of my alone time until I go to pick up the kids. I'll probably eat another oreo. Thanks for reading! I know, I know. It's been a year since I posted on here. And I don't know if this.means I'll start posting again, or if it will be another year. But (for those who haven't heard) we ARE getting ready to have another baby, and I don't want him to be the only undocumented pregnancy. So here's a quick post. 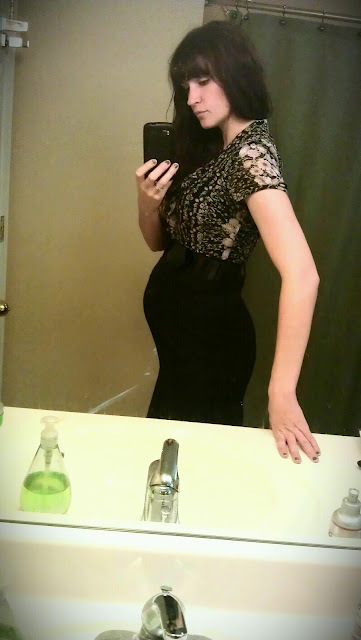 I am 24 weeks right now, and so for some time people have been asking (pestering, demanding, insisting) for belly shots. 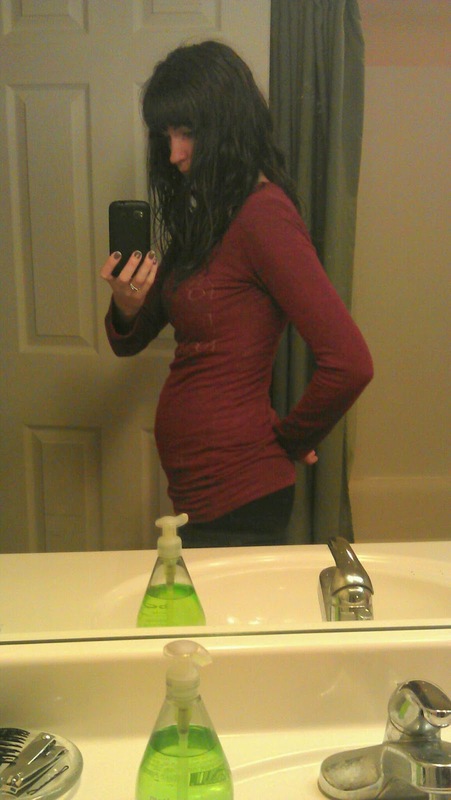 I'm hesitant to post them because I am sooooo much bigger with this baby that it's a bit depressing. But it is what it is, and even if I don't love the belly, I love, adore and cherish the baby inside. So here are the long awaited pictures. 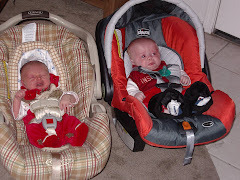 They were taken at 14 weeks, 16 weeks, 18 weeks, 20 weeks, and 23 weeks. I think it's fun too see the changes every couple weeks. Thanks for checking in! Sam is currently: attending George Mason Law School, and is in his first year. He signed up for an extracurricular negotiations team during his first semester, and competed against other students for a chance to represent the school in a regional negotiations competition, and won. He is gone a lot, but makes a point to spend quality time with his boys any chance he has at home. He is an amazing father and loving husband, and we are excited for all the new changes this move has brought him, and all of us as well! Shannon is currently: enjoying living in Virginia and all the changes it brings, surviving her first year as a law wife and relishing every last moment Sam is home, housing a little fetus that will soon be joining our family (in March), and otherwise loving and caring for my awesome little family! David is currently: loving his daily preschool routine and constantly points out that he and Daddy are both "school boys", loves animals and anything animal related, and is also going through a pirate phase, is starting to read and can read most of "Hop on Pop", loves sounding out anything he can find and gets so proud of himself when he figures out what word it is, is starting to do simple math like addition and subtraction and is working on more complex problems (like what is 3+3+3 instead of just 3+3), is getting so big I don't know what to do with him! Trevor is currently: starting preschool two days a week, and likes to point out to David that he too is now a "school boy", is a very spunky and funny child and has Sam and me laughing constantly, is very snuggly and affectionate, loves cars and trains - especially Thomas the train, knows a lot of train vernacular, some of which I wasn't familiar with until now - engine, cargo, freight, coupling, shunting, hauling, etc. He will correct you if you use the wrong term for anything train related. He also just started Sunbeams and is enjoying being in primary thus far! Come get healthy with me! Let's all just drop it! The injured one and the cute one! Brittany, Bryce and Their Life coach!